Can Sri Lanka Unite As, ‘Eka Mavekuge Daru Kela’? If one thinks positively there are multiple ways through which we as one nation can live together in peace and harmony. Positive thinking entails objectivism and accepting real facts as real. This approach facilitates commonality as far as the objective is concerned. The part of the national anthem “Eka mavekuge daru kela” – All are children of one mother – provides objectivity equating Sri Lanka to the mother and all of its citizens as children of that mother. We have to pause for a while and ponder on the deep meaning of these words. When we sing these words, we must reflect on the brotherhood of our nation. Each and every one – Sinhalese, Tamil, Moor, Malay, Burgher etc. – are equal members of this national brotherhood. On the other side, just as the children of the same parents see themselves united in the parents we, as citizens of Sri Lanka, must see our unity in our motherland. “O, mankind, We have created you from a male and a female; and We have made you into tribes and sub-tribes that you may recognise one another.” (Chapter 49 Verse 14). Note that the Quran in the above verse is not addressing the Believers of Islam but the entire mankind. It specifically states that man/woman has been created from a single male and a female. Therefore, every human being is a brother/sister to each other. The verse also recognises the divisions in humanity and cautions that such distinctions are only for the purpose of recognising one another. When reflecting on the origins of man and the fact that humanity flows from a single pair, differentiation of any form whatsoever becomes irrelevant. There is simply no superiority of one over the other. Logically, there cannot be such a proposition. However, there can be differentiation in the make up of the people for example in the nature of colour, race or tribe. The objective for this make up is to know each other and not to consider any race or tribe as inferior. The universal characteristic of man remains intact. The principle of the brotherhood of humanity presents itself as a forceful argument for all Sri Lankans to come together as one nation without any form of discrimination. This composition benchmarks the promotion of unity and the dispensation of negativity in no uncertain terms. The esoteric sense in this formula beckons every person worthy of citizenry in this country to an introspective test of self-assessment. Are you worthy of being a child of this mother Lanka? If so, subject yourself to the test of eligibility for citizenship. In this way, the ones who uphold these values can live as a nation, in the spirit of a single brotherhood. Any child of this Mother, be a Sinhalese, Tamil, Moor, Malay, Burgher etc. who have sung these lines and, yet, harbours prejudicial ideas, cultures fear by spreading false information, cause hatred in the minds of others and assumes superiority over another group of people fails in this eligibility test. Not only that, all those children, the Sinhalese, Tamil, Moor, Malay, Burgher etc. who have paid homage to these words and, then, condones or turn a blind eye to the gross distortion of truth, corruption of the minds, perversion of another religion, demeaning and humiliating another group of children are pure and simple hypocrites. Finally, all those Sinhalese, Tamil, Moor, Malay, Burgher etc. who have sung the national anthem and remain silent on the face of ill-will, hatred and strife perpetrated by those who have lost eligibility and the hypocrites are pure and simple soulless creatures. “Whosoever is angry, harbours hatred, and is reluctant to speak well of others (discredits the good of others), perverted in views, deceitful — know him as an outcast.” (Vasala Sutta: Discourse on Outcasts). Arguably, a psychological marker may be identified originating from usage and habit caused by language affinity and Buddhism. This is an unasserted normative assumption of correlating the national anthem with only the Sinhalese. Most of the Tamils did not know what they were uttering. Even the Muslims who do not understand the Sinhala language did not know what they were saying. Therefore, children of one mother, would subconsciously be interpreted to mean as referring only to the Sinhalese. This is a purely innocent assumption. In a practical sense, this assumption would negatively and unrealistically mean others are aliens. Language bias intertwined with the race component, thus contributing to fissures between the Tamil and Muslim communities. Little wonder there was dissatisfaction when it was proposed to sing the National Anthem in the Tamil language. Viewed probably, as a competing race and a challenge to the dominance of the Sinhala language. People in this transitory world are so engrossed in materialism that they have strayed away from spiritualism. Those who are within the realm of spiritualism bury themselves into isolation straying away from Moral Universalism (the position that some moral values can be applied universally to everyone regardless of their personal opinion, or the majority opinion of their culture). All the world religions that are practised in Sri Lanka viz. Christianity, Islam, Hinduism and Buddhism has an interwoven common thread of morality. Building bridges based on the common ground of universal morality is another way of establishing unity among the various communities. The values of each religion can be classified broadly into Core Values and Shared Values. While the Core Values are left untouched and respected, the Shared Values can be directed towards negating ill-will, strife and hatred. One more way to defeat the ultra-nationalist extremism is for the majority of the right-thinking Sinhala Buddhists, Tamil Hindus and Christians and the Muslims to unite under the principles of Moral Universalism. Characteristics such as race, culture or language are excluded from moral judgements. Social pressure must be brought to bear collectively upon these misguided people and, to starve them from being acknowledged or recognised. (Vasala Sutta: Discourse on Outcasts). Remember , here the mother is Sinhala-Buddhist, and her children must be able to speak Sinhala. Those who can’t speak Sinhala must take the boat ride back to Tamil Nadu. the Shared Values???????????? what are the values Muslims have to share???????? This is the Land of Native Veddah Aethho. There was no Sinhala, Tamil, Portugese, Dutch or English. They all are Paras and Para-Languages. Their beliefs, Hinduism,. Buddhism. Islam and Christianity are All Para. They all should get back to their Para-Motherland, India. Already Sri Lanka has united under the slogan, “Ekathu Vela Kamu Rata”. These are the people mainly responsible for misguiding the people. British ‘Awajathakayo’ laid the foundation to divide the nation and these rotten politicians carried forward the task of dividing the nation further for their political gains..
Champika Ranawake who formed Jathika Hela Urumaya (JHU). I am sure someone will come forward to add S.W.R.D. Bandaranayake’s name to this list but let me tell he formed Sri Lanka Freedom Party (SLFP) not Sinhala Freedom Party (SFP). As long as we believe in these religions which have only been used to divide mankind, uniting as one will remain an illusion.If at all, we should practice our religions only within the four walls of our homes and not make our religion a nuisance to others. Governments should never use its funds to foster any particular religion. When that happens we can think of ways and means to work as one nation. Here is another opportunity for Muslim bashing. Unleash your bigoted, stupid….views and your……………..hatred for humanity. segregation the only way . Lion share to Sinhalese Buddhist in everything , and proportional to others . No other way out . yes then Sri Lanka will smoothly move from 3rd to first world in 10 years . one large area of 75% of the country to be made exclusively Buddhist Province ,with it the ruling federal territory, ports ,CB,International Airport ,Judaical courts, Free education up-to University only for Sinhalese Buddhist, all government tenders only for Sinhalese Buddhists, medical field exclusively only for Buddhists , free healthcare exclusively for Buddhists,even with freedom to practice in other Provinces where they get paid too., all government jobs including in other provinces exclusively for Buddhists. Importing and exporting , sole distribution ,whole sale exclusively for Buddhists other can be considered to run small retails , professions such as engineers, lawyers ,doctors and manufacturing exclusively to be Sinhalese Buddhists and the rest of the country’s 25% to be divided among others .with a provision of small domestic airports and private Education only which exclude the study of medicine , Law, engineering and IT . Practice of public religious rituals only once a month but no load speakers allowed . Are you an educated person Mr. SinhaLE? What kind of senseless proposition is this. what do you propose we do with the Sinhala Christians? Should we cut them off too? If we choose to segregate then it implies that all Sinhalese in other parts of the world should be repatriated, is it not? Do you want to create another north Korea? In a world where people are building bridges between different ethnic groups you want to burn everything down. If this is what you have on offer to share with the world, I feel sorry for your children, they will be like frogs in a well. There was no North and East before British. Get your facts correct. Shenali, before Portuguese came there was a sovereign Jaffna kingdom which included Trincomalee district north of Mahaveli, Puttalam district north of Deduru Oya and even northern parts of Anuradhapura district. Both Portuguese and Dutch who succeeded them ruled Jaffna Kingdom areas separately from the rest of the Island. Even at early stage British did the same and it was only after 1815 conquest of Kandyan kingdom, for purely administrative convenience that they merged Jaffna kingdom areas with the rest in 1833. This fact you cannot deny. It is this lost sovereignty which was not returned to them when British left, that Tamils are demanding and not anything new. Current north and east provinces were British creation, which was further complicated by Sinhala rulers after independence by linking parts of Uva province to east in order to make a Sinhala majority Amparai. There was a Jaffna Kingdom. It wasn’t sovereign. The King of Sri Lanka resided at that time in Kotte never took Jaffna kingdom as an independent sovereign nation. It was always part of the Sinhale. That is why he sent forces to retake it during 16th century and same was repeated by king Senerath of Kandy kingdom during 18th century. Jaffna kingdom came to existence 13th century and by then there were no Anuradhapura or Polonnaruwa kingdom. Portuguese and Dutch were only able to control the coastal belt only. They had no say over the Wanni areas for that matter. If there were a Tamil kingdom it would have at least survived in Wanni. As a matter of fact it wasn’t. In 1815 the British signed the treaty with Kandy with regards to the entire island. There were no mention about Tamil kingdom of the North or there were no participation from the Jaffna Tamil kingdom at least from Wanni or from the Eastern coast. It was there to merge in 1833? In 1833 British divided the island to weaken the Kandyan kingdom. There was no other reason for dividing the country into 5 provinces. If there was a Tamil kingdom why did Tamils accept the British introduced provincial boundaries as their own? Don’t you people know where the ancient borders lay? Tamils are demanding something which was not historical real. At least accept the fact that Jaffna kingdom came to existence during the 13th century. North and East are Geographical Positions. The British did not Create them, Map Makers did! Under normal circumstances, one would expect the children of the same mother living together as one family, to grow into a unified group based on mutual love and respect. These emotional bonds will continue to grow in strength and are sustained even if the various children eventually reach different stations in life as long as these bonds are based on empathy and understanding. 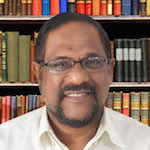 The Writer poses the question : ‘Can Sri Lanka Unite As, ‘Eka Mavekuge Daru Kela’? A more basic question which should be asked first is : ‘Can Muslim Sri Lankans unite as the children of the same religious group based on mutual love and respect ?’ Bearing in mind that of the 4 major religious groups in Sri Lanka, it is only among the Muslims that there have been repeated instances of intra-religious violence, it is highly unlikely that this ‘unity’ will ever see light of day. The emergence of Islamic ‘hardliners’ over the past few decades has made the prospect of a united Ummah in Sri Lanka a really distant dream. It might therefore be more pragmatic for the Writer to rein in his flights of fancy and focus on identifying the steps that his community should take in the first instance to forge and strengthen ‘internal’ unity. The mere amalgam of persons of Islamic faith should not be mistaken as a representation of unity among the members. Suppose among this group of ‘Eke Mavekuge Daru’, one sibling enjoys listening to a specific type of music with enhanced volume, while another sibling finds it utterly intolerable. If mutual love, respect and empathy have been inculcated in the children, then the first sibling will make a sincere effort to ensure that the second sibling is not adversely affected by his actions. However, if the first sibling stubbornly continues to insist that he has the right to listen to his type of music and all the rest have to simply put up with it, then unity among the siblings is a delusion. Unity is not required only when a group faces a common external danger, when their very existence may be under threat. Unity is forged more strongly when there are no internal threats, perceived or real, to the well-being of the members of a group. The non-Muslims have been complaining for decades about the wholly unneccessary use of external loudspeakers in Mosques (yet another import from the Arab world ). The Muslim community either by choice or circumstances continues to turn a deaf ear to such complaints, although this practice is not supported by the Holy Book or the Prophetic Traditions. And the Writer actually has the impudence to ask : ‘Can Sri Lanka Unite As, ‘Eka Mavekuge Daru Kela’? Anthems are emotional “gobble de gooks”.Good bit of entertainment before sporting events. Politics and religion don’t mix well. Religious preference should be removed from the constitution and a robust judicial system is the answer; undoubtedly it is a very tall order. The SINGAPOREN SYSTEM is a good one. Let’s copy it lock stock and barrel. What make a Singapore model in a country like Pakistan or Bangladesh. Then we will follow suit. Then you are licking the Muslims. In America there is separation of Church (religion) and State. That indeed is a good model. It is there in many other countries such as France and Turkey as well. The person commenting is a donkey and only talking about loudspeaker used by Muslims for one or two minutes as a factor for disunity. What about the loudspeakers used in Temples from early morning from 4 am for hours. Premadasa scolded the monk for not getting up early morning and offer their prayers like the Muslims do. So they started their chanting in loudspeakers early morning. The best part of it they start the tape recorder and go to sleep, the temple is empty without even a fly. So if they did not like Muslim’s using loudspeakers they wouldn’t have followed the Muslim. Don’t use example like these for disunity. Disunity is created by racist due to their jealous and hatred feelings. Anyway loudspeakers are not necessary for Muslims in this technologically advanced time but of course they have to call for prayer (Azan) without loudspeakers because it is Islamic tradition. I do not know whether Buddhist have such tradition. I don’t see why any Religion has to use loud Speakers to spread their Religion. Neither the Buddha or Mohamed felt that they had to shout out their Message! People came to Listen of their own Accord, if the Message felt Right for them! In this Day and Age of Electronic Communication, like Email, Tweets and Messenger it is even more Unnecessary! Gossip spreads Faster! You forgot one more thing ,don’t forget to keep the holy guys with enough holes and enough dutch courage . Imagination playing socks, Sri Lankan watching to many Hindi movies . Girl chase boy ,boy chase girl. What you say makes sense. We should be all United as a nation. However, inspite of all of us pushing to find common ground to come together setting aside petty differences, I find that we try to do just the opposite. For instance, it is said that original Muslims had sinhalese mothers, yet you choose to speak Tamil as your preferred language. So we have half sinhalese people whos preference of mother tongue is a different language and dressing like people from middle east. In my view what you wish and what is practiced are poles apart. Without saying it Muslim body language says that you want to be different or you want to segregate yourselves. Now I cannot fault you all for making choices, but my problem is that knowing how the sinhalese people think and behave, if you choose to give the sinhalese reason to notice you all as strangers then it is most likely that you will be targeted. Besides Islam is a religion, it is not an ethnicity. Ethnicity is based on language you speak. There again my point comes up. Why do you set yourselves apart when you speak Tamil or Sinhalese, do sinhalese Christians say they are Christians when asked for their ethnicity? Neither do Tamil Christians. They are either Sinhalese or Tamil, religion is not ethnicity. This division is created by you, now you want reintegration. I am glad that you now want to reverse the present trend. You are welcome to join us. Let us truly learn to appreciate one another and live in harmony. Afterall what we have in common as humans is one million times greater than our superficial differences. Ps: let us not be pests to eachother while we are at it.